The RNLI Board of Trustees has appointed Mark Dowie as the new Chief Executive of the RNLI. The current Chief Executive, Paul Boissier, who has been in post since 2009, is retiring and will hand over to Mark, on 15 May. 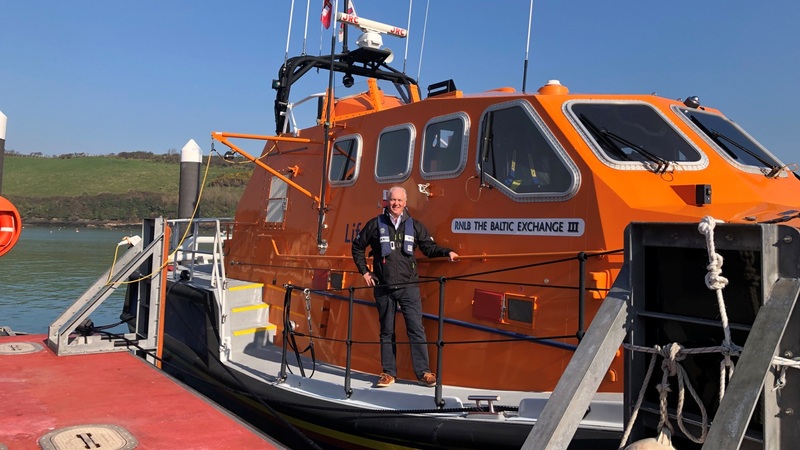 Mark Dowie is currently the Lifeboat Operations Manager at Salcombe RNLI in Devon, a voluntary role that proudly he has held since 2017. 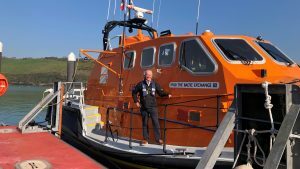 In his role as a Lifeboat Operations Manager, Mark has been responsible for all the operations of this busy lifeboat station, and so he has first-hand experience of leading and volunteering within the RNLI. Mark also brings with him significant corporate leadership experience, having been a senior banking professional who was most recently Chief Executive Officer, Corporate and Institutional Banking, at Standard Chartered Bank. In this role he led the bank’s global wholesale banking business and was responsible for nearly 20,000 people in 62 countries around the world. A former Royal Navy Officer, Mark served between 1982 and 1990, leaving the service at the rank of Lieutenant. During his time in the Royal Navy, Mark served on the helicopter carrier RFA Reliant and HMS Illustrious. In addition, Mark has owned and managed a successful marine services company before taking the role at Standard Chartered. He is a former Justice of the Peace, Trustee of the Royal Navy and Royal Marines Charity and Vice Chairman and Trustee of the Britannia Association. He has also provided leadership and financial support to youth charities in south London and a school and orphanage in Kenya.